Is there a way to "alias" a Drupal site node to an external URL? I'd like that a click on a link in my Drupal site like 'http://mysite/node/64' redirects to an address like 'http://anothersite/whateverurl'. I use Fullcalendar View module. 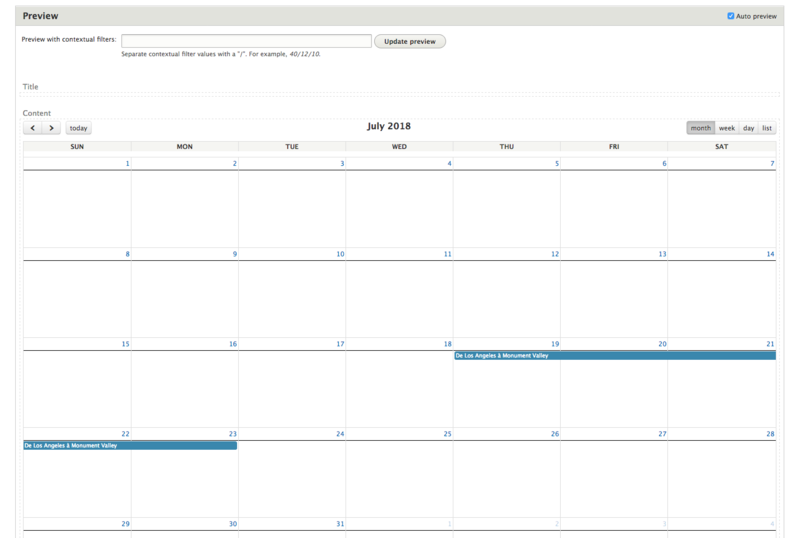 I added a Date range field to a custom content of mine (my modified Basic page). If I set a date in a node of that type, I can see an item linked to it in the Calendar: If I click on the item, I am redirected to the corresponding node and I see its content. I tried something else: I created a new View with no fields at all except the Daterange. When I use Format: Unformatted list, I get this result: which is OK as I have only one node of the type filtered. 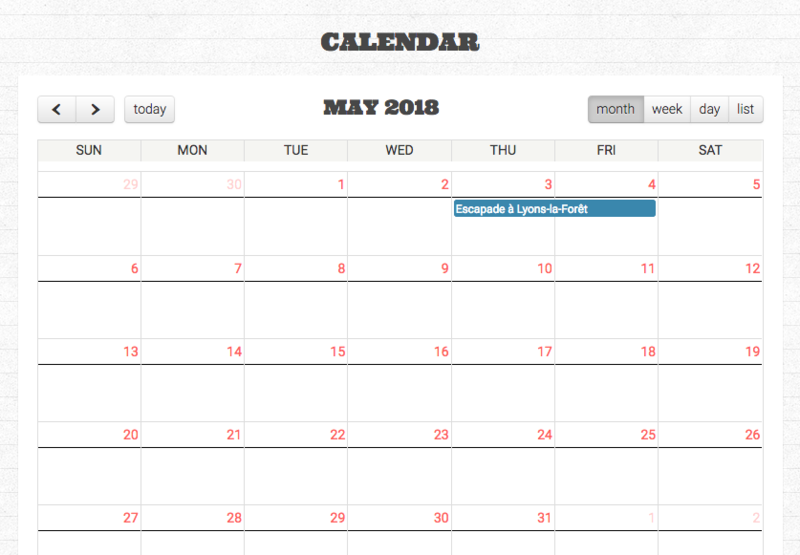 Does it mean that Fullcalendar View] module generates its magic elsewhere? Add a link field to your content type external url which would need to be followed when available otherwise (if empty) it would take to node view (normal behaviour). NOTE: it appears that Fullcallendar view module takes the link to node in a way that it cannot be modified within the view as described above. There is a feature request that asks for such an option. In the meantime perhaps the above can be achieved with another calendar module () or modify the URL from within a custom module. when a user try to access the node by going to example.com/node/123, so he will be redirected to an external url. but when the user access the node by going to example.com/my-node, no redirection and he will normally have access to the node page. If this what you are asking about, reply to my answer here and i will gibe you a full tutorial on how to do it ! Otherwise, as @clive mentioned, your question does not make sense ! And for what you need the node if you are not going to use it. 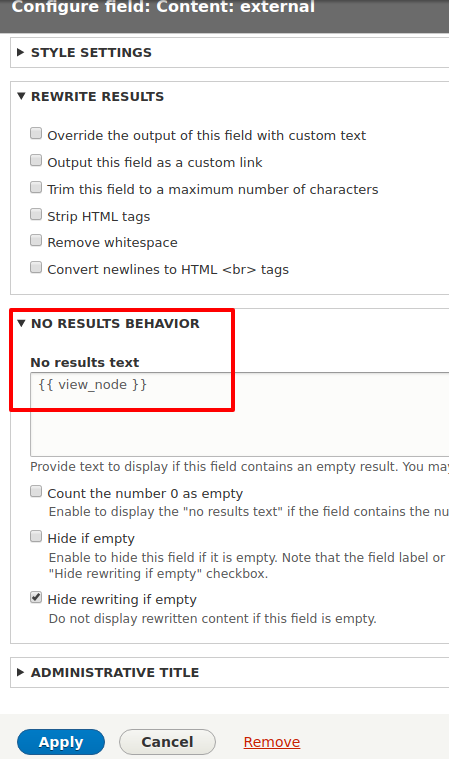 How to change the link text in Drupal 8 Views? How to pass a Date as Contextual Filter?